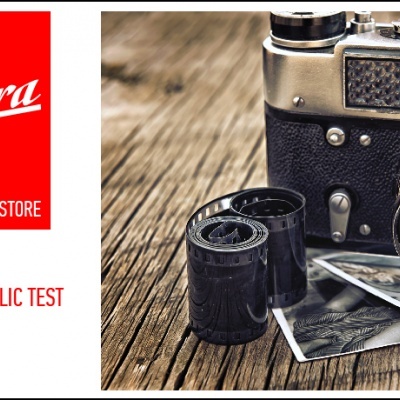 We've opened international on-line store at shop.silberra.com and we will keep widening the assortment of the films and chemicals available through the store. We ain't ready for wholsales yet, but we're glad to accept any private order from any country of the world where PayPal is available as payment system. Meanwhile we'd like to tell you how Russian Post (which is the only reasonable international shipping company here in Russia) does work. Orders under 2 kilos in weight without any liquids inside have the best shipping fares and those are avia-delivered (por avion, on planes). That means that these orders are the fastest also. As soon as you order something liquid another shipping fare is applied and Russian Post dispatches your parcel as ground shipping only. There are quite a few countries in the world that don't have ground shipping option with Russia, but still those do exist. Don't worry: our web store will calculate all your shipping fares prior to charging you any money and it will always offer you the best shipping fee. All the orders over 2 kilos in weight (and any order despite the weight containing any liquid) are shipped as ground shipping. The price is a bit lower than avia shipping, but delivery time is a bit longer: they'll use trucks and ships to deliver your shiping.